Jacob Okumu, Community Organising Fellow with Tatua Kenya, shares about the growth of the Ngong Campaign to get 1200 kids in school consistently by July 2014. Bulbul community dared to try a new thing in their community by holding kids forum to listening to them say why they don’t go to school consistently and productively.The leaders with the full knowledge of the sensitivity of forum gave their best and everything seemed to have been going well until when the news of it all spread through the densely populated community like bush fire and more than 209 parents showed up in the school compound to get clarification. For a moment kids forum had to pause to allow parent to exchange a little before agreeing to meet again on Saturday to do more exchange.Eventually that agreement gave way for kids forum to take place successfully and everyone celebrated the days achievement with kids asking the leaders to make this kind of talks every Thursday. Sarah Welch, Co-Founder and Managing Director of Tatua Kenya reflects on how the organisation has grown over the last two years. Watching an organization grow internally is like watching a child grow up. Every year, new things appear, and learning happens at an even more rapid pace with every month. Our planning process last year began in November with our annual board retreat, the main focus being going through the line item budget and figuring out how to cut it down by half. This year, in October, we already have proposals for our 2014 focus areas, budget, income plan, measurement system! However, the greatest growth I see in our organization is the ability to include more and more of our staff into this planning process. Initially, Natalie and I sat in my parents dining room, in California!, building a vision from our heads. Then we moved here and for many months Natalie, Ken and I met in a variety of cafes and apartments planning together. This year, we meet in our own office space in teams of 5 to plan the different aspects of the organizations focus, involving our full and growing 12 person staff. I can feel the ground beneath our feet settling deeper and deeper. I can feel myself let go, relax and trust that together we will find the right way. I can only imagine what next year will bring! 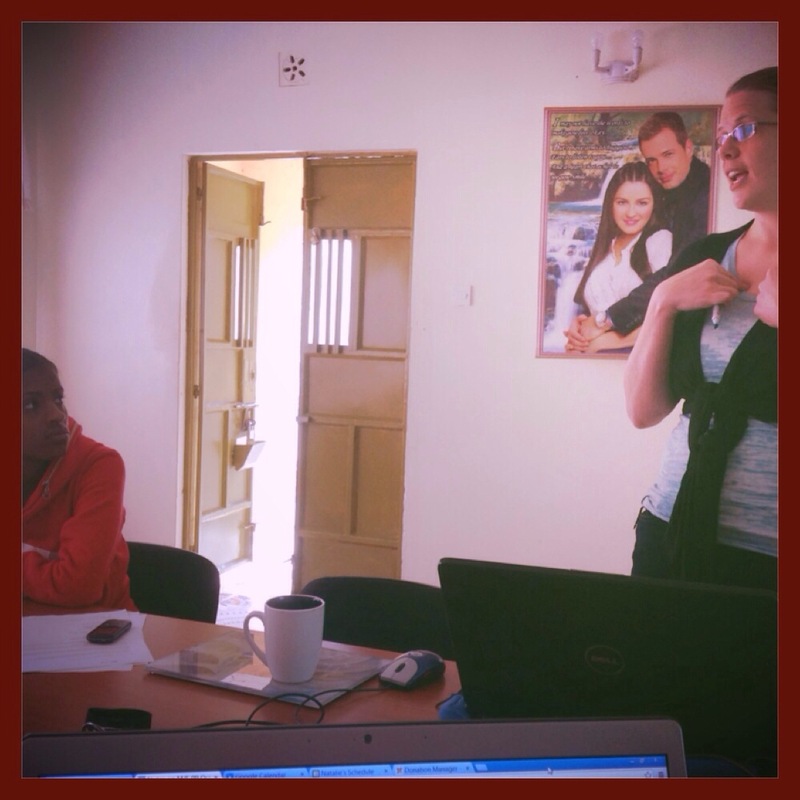 Sarah leads a team meeting to develop strong tools to measure Tatua’s work.